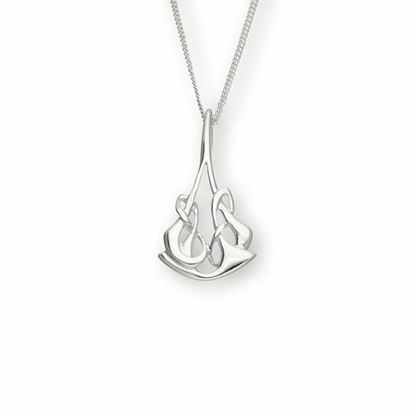 This dainty silver pendant shows flowing shapes and leaves inspired by the work of Archibald Knox. Knox played an important role in the development of English Art Nouveau which was at its height in the late 1890's and early 1900's. 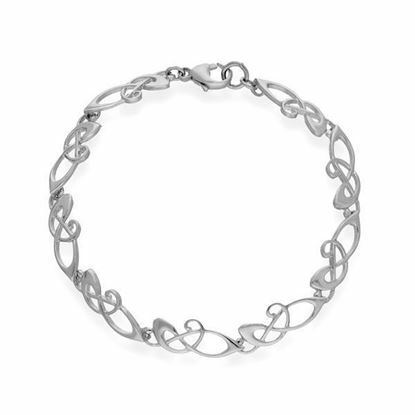 The design for this wonderful bangle is heavily influenced by the work of Archibald Knox. 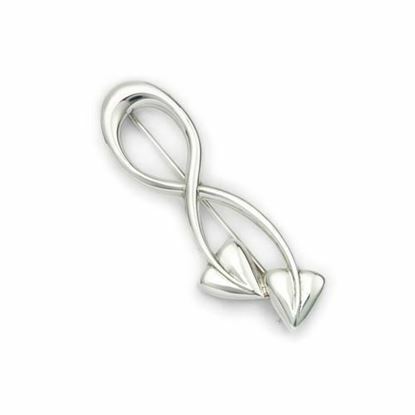 Before his death in 1933, he had become well known for minimizing the traditional Celtic knots to create the simple and subtle lines symbolic of the English Art Nouveau movement. 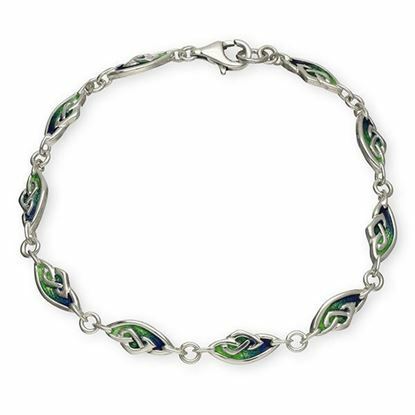 The design for this wonderful bracelet is heavily influenced by the work of Archibald Knox. 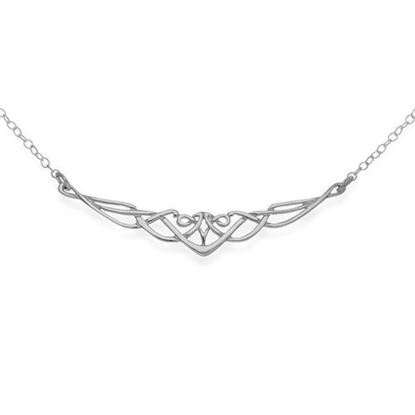 Before his death in 1933, he had become well known for minimizing the traditional Celtic knots to create the simple and subtle lines symbolic of the English Art Nouveau movement. 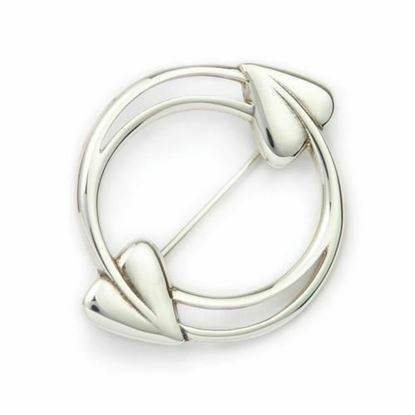 This stunning Silver brooch shows flowing shapes and leaves inspired by the work of Archibald Knox. Knox played an important role in the development of English Art Nouveau which was at its height in the late 1890's and early 1900's. 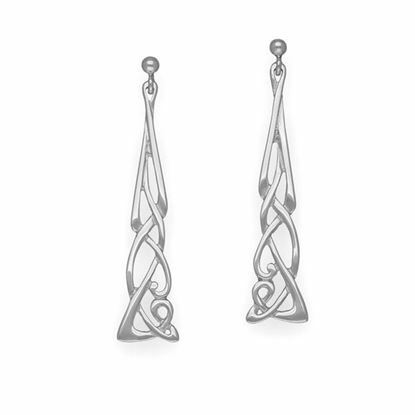 These long drop earrings use flowing shapes and leaves inspired by the work of Archibald Knox. Knox played an important role in the development of English Art Nouveau which was at its height in the late 1890's and early 1900's. 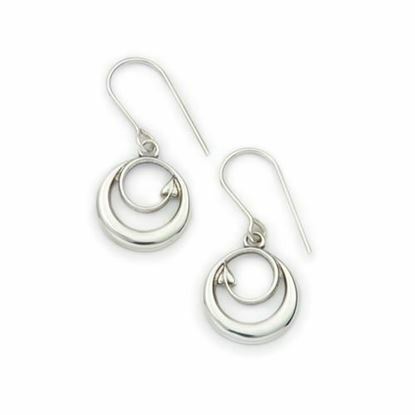 These angelic drop earrings use flowing shapes and leaves inspired by the work of Archibald Knox. Knox played an important role in the development of English Art Nouveau which was at its height in the late 1890's and early 1900's. 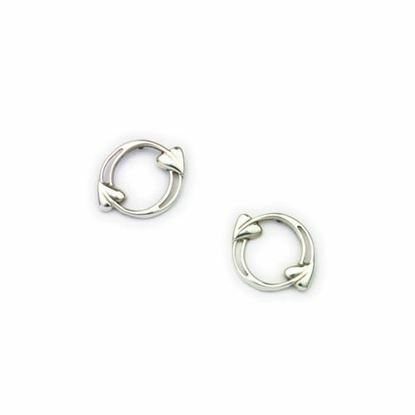 These dainty stud earrings use flowing shapes and leaves inspired by the work of Archibald Knox. Knox played an important role in the development of English Art Nouveau which was at its height in the late 1890's and early 1900's. 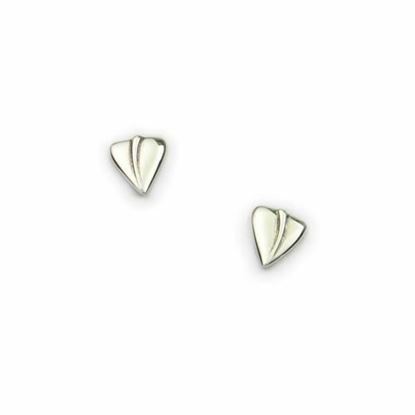 These simple stud earrings use the leaf design inspired by the work of Archibald Knox. Knox played an important role in the development of English Art Nouveau which was at its height in the late 1890's and early 1900's. 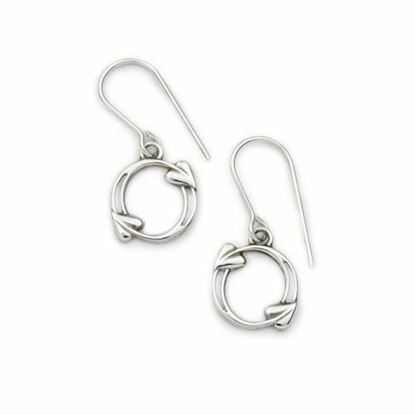 These delicate drop earrings use flowing shapes and leaves inspired by the work of Archibald Knox. Knox played an important role in the development of English Art Nouveau which was at its height in the late 1890's and early 1900's. These eye catching stud earrings use flowing shapes and leaves inspired by the work of Archibald Knox. Knox played an important role in the development of English Art Nouveau which was at its height in the late 1890's and early 1900's. 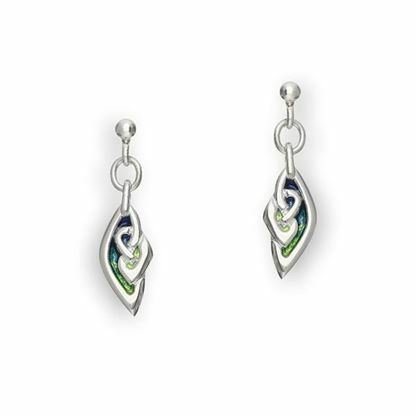 These eye catching drop earrings use flowing shapes and leaves inspired by the work of Archibald Knox. Knox played an important role in the development of English Art Nouveau which was at its height in the late 1890's and early 1900's. 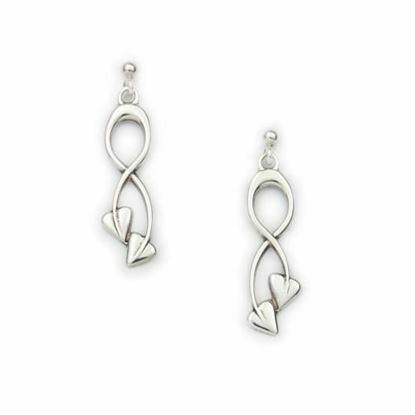 The design for these wonderful earrings is heavily influenced by the work of Archibald Knox. 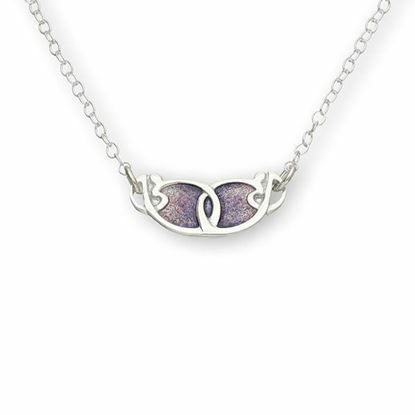 Before his death in 1933, he had become well known for minimizing the traditional Celtic knots to create the simple and subtle lines symbolic of the English Art Nouveau movement. 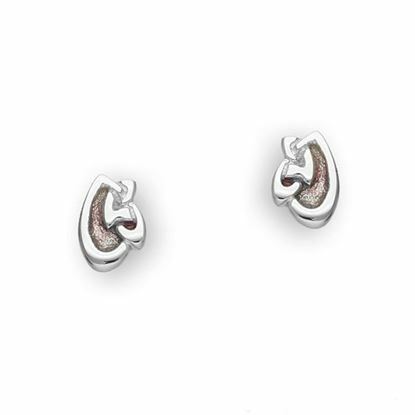 Delicate stud earrings from our Archibald Knox collection crafted in sterling silver and enamelled in subtle colourings. Attractive Archibald Knox drop earrings crafted in sterling silver and hand enamelled in stunning colours. 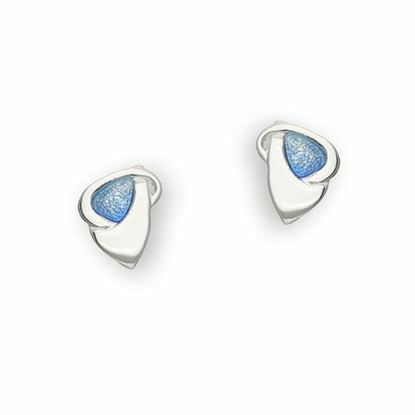 Delicate sterling silver stud earrings, inspired by the works of Archibald Knox, hand enamelled in attractive colourings. 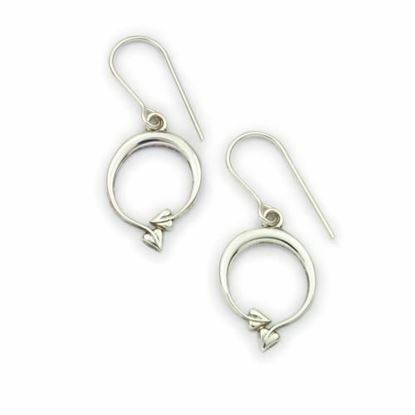 Dainty drop earrings crafted in Sterling Silver and enhanced with hot glass enamelling in subtle shades. Archibald Knox stud earrings, crafted in Sterling Silver and enhanced with hot glass enamel. Drop earrings inspired by the works of Archibald Knox, created in sterling silver and hand enamelled in attractive colourings. 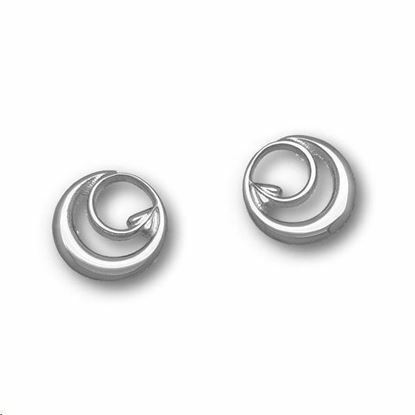 Attractive stud earrings crafted in sterling silver and enhanced with hot glass enamel. 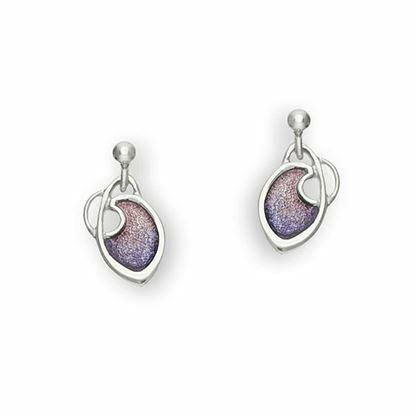 These small drop earrings are from our Archibald Knox collection and are complemented with attractive colourings. 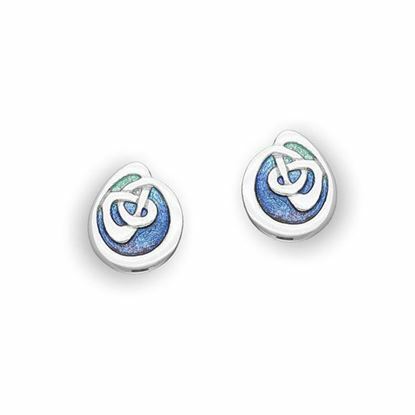 Decorative stud earrings crafted in Sterling Silver and enhanced with hot glass enamel. 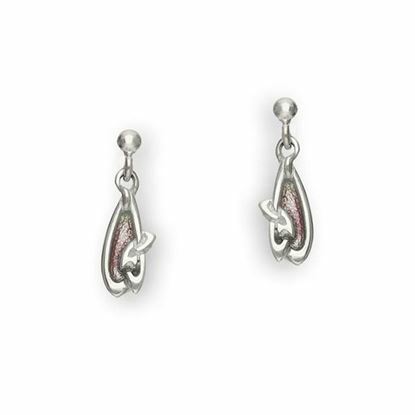 Angelic small drop earrings inspired by the works of Archibald Knox, crafted in sterling silver and enhanced with hot glass enamel. 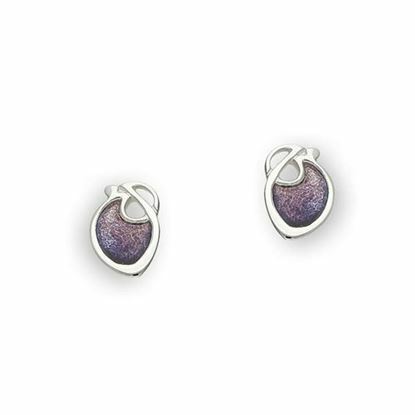 Dainty stud earrings inspired by the works of Archibald Knox, crafted in sterling silver and enhanced with hot glass enamel. 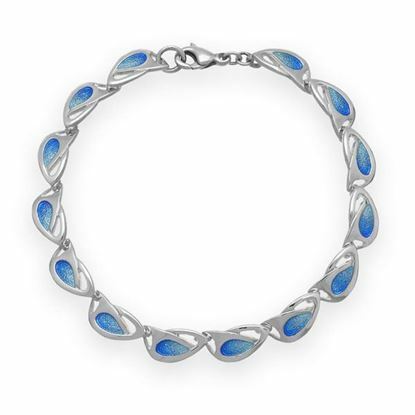 An intricate necklet crafted in sterling silver and enhanced with hand enamelled in stunning colours. 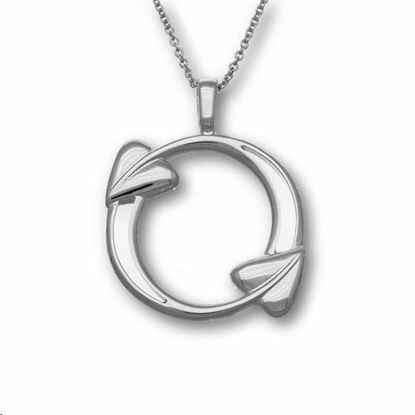 The design for this wonderful necklace is heavily influenced by the work of Archibald Knox. 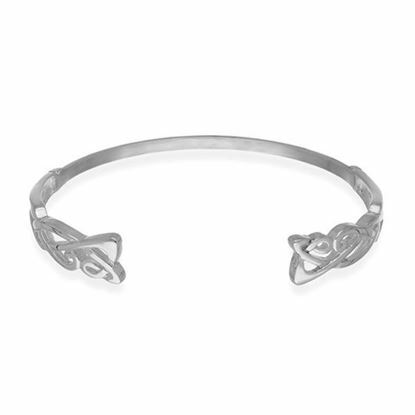 Before his death in 1933, he had become well known for minimizing the traditional Celtic knots to create the simple and subtle lines symbolic of the English Art Nouveau movement. 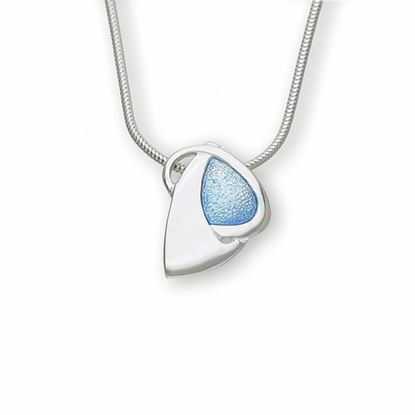 An attractive Archibald Knox pendant crafted in sterling silver and hand enamelled in stunning colours. 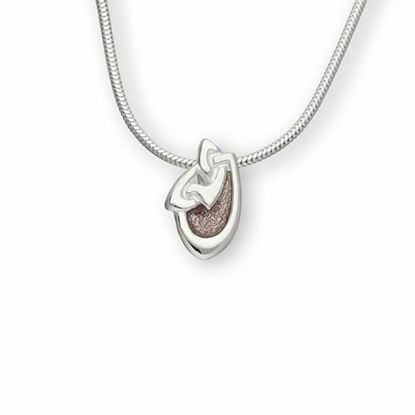 A delicate Archibald Knox pendant available in sterling silver and hand enamelled in stunning colours. 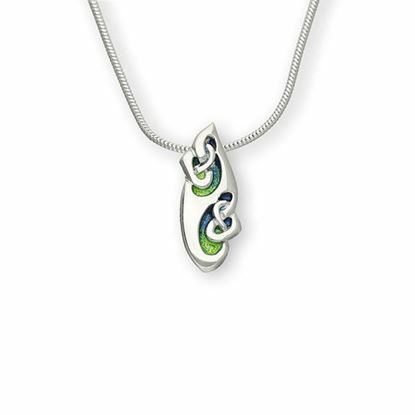 An intricate sterling silver pendant from our Archibald Knox collection hand enamelled in attractive colourings. 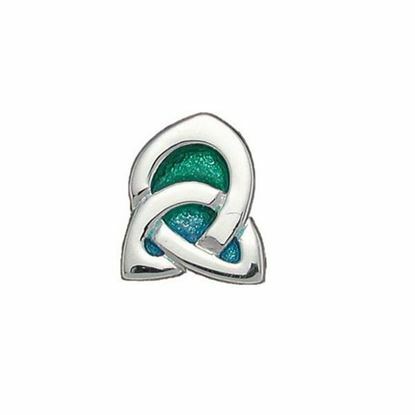 A decorative sterling silver pendant from the Archibald Knox collection, hand enamelled in attractive colourings. 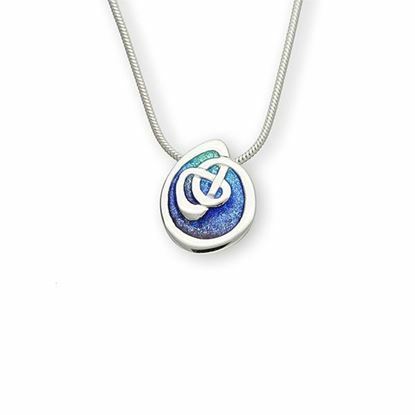 A stunning sterling silver hot glass enamel pendant from our Archibald Knox collection. 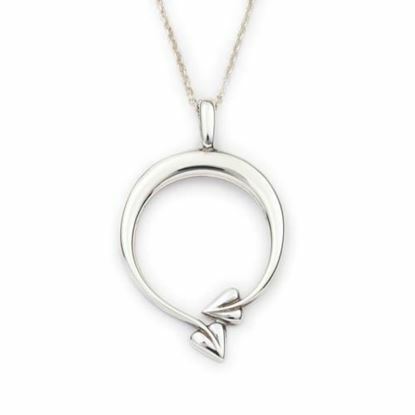 An artisitc designed Sterling Silver pendant inspired by the works of Archibald Knox. This elegant long silver pendant shows flowing shapes and leaves inspired by the work of Archibald Knox. Knox played an important role in the development of English Art Nouveau which was at its height in the late 1890's and early 1900's. 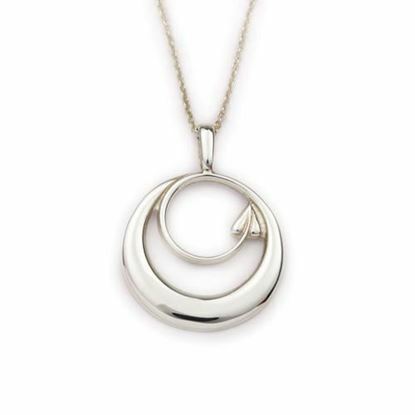 This eye catching silver pendant shows flowing shapes and leaves inspired by the work of Archibald Knox. Knox played an important role in the development of English Art Nouveau which was at its height in the late 1890's and early 1900's. 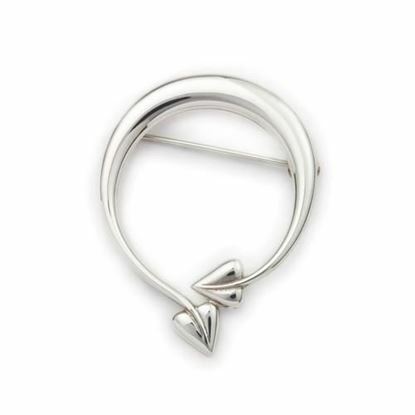 The design for this beautiful ring is heavily influenced by the work of Archibald Knox. 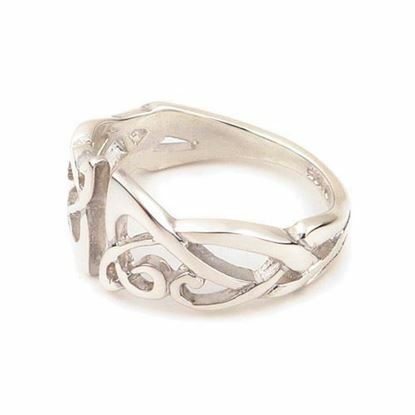 Before his death in 1933, he had become well known for minimizing the traditional Celtic knots to create the simple and subtle lines symbolic of the English Art Nouveau movement. Copyright © 2019 The Iona Shop. All rights reserved.